My family and I did some traveling over the holidays. We spent Christmas in Chicago, where my hubby is from and New Years in Buffalo, where I grew up. It was a wonderful, relaxing trip full of family, rest and recharging. This year, in Chicago, we chose to go with the “Secret Santa” theme in terms of prezzies since our family is growing so quickly! (Marriages, boyfriends/girlfriends, kids, etc.) It worked out great and was so much fun! I was “Secret Santa” for my sister in law’s boyfriend Kevin, who, on his wish list, included pistachios. I got him a few Starbucks goodies and a GIANT bag of his beloved pistachios. , I came across a bag of pistachios and decided to try them out. I am now officially OBSESSED! Kevin was right. I go through a few bags a week! And that’s being conservative. After the hazy honeymoon phase wore off and I could again see straight, I did some research on my new fascination. It turns out pistachios have tons of health benefits, lucky for me! They are loaded with good fats which reduce your risk for heart disease and help to lower cholesterol. These “good” fats also chase away “bad” fats contributing to a smaller waistline. Pistachios contain more than 10 different antioxidants which ward off cancer. They also are loaded with vitamins, such as Vitamin E, which is highly recommended for glowing skin (we love that), have lots of minerals and are a great source of fiber. 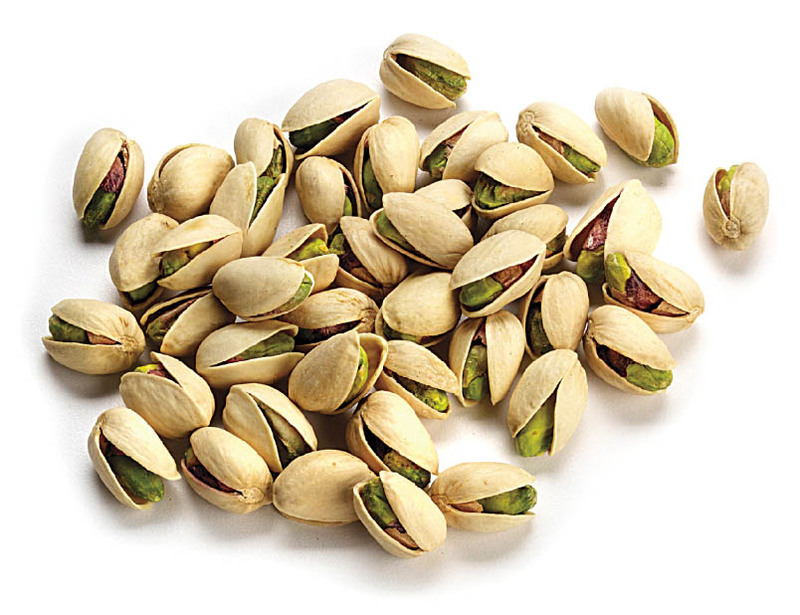 The protein in pistachios helps to keep you feeling full for longer which makes them a great snack option. Most excellent! So, thank you, Kevin for awaking my curiosity and inspiring me to make pistachios a part of my everyday life. To you, I am eternally grateful! OMG OBSESSED!